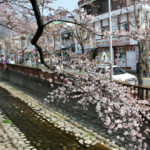 One of the most popular and romantic destinations in South Korea during Spring is Changwon-si, in Gyeongsangnam-do. 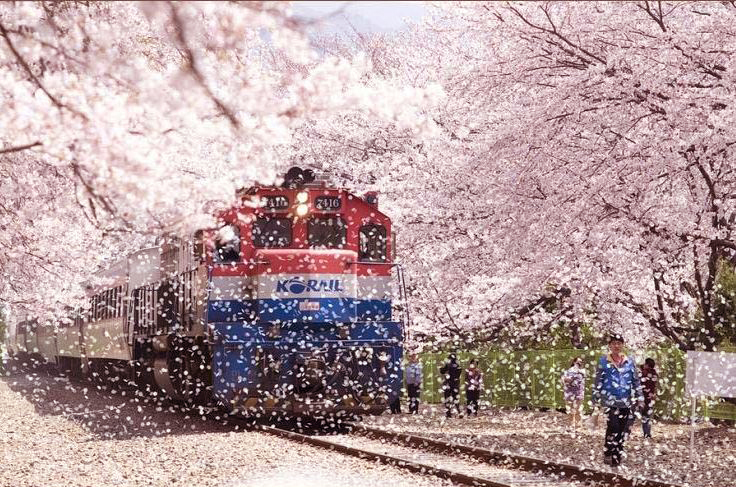 Because from April 1st to April 10th, a brief week, you can see some of the most beautiful cherry blossoms in Asia! 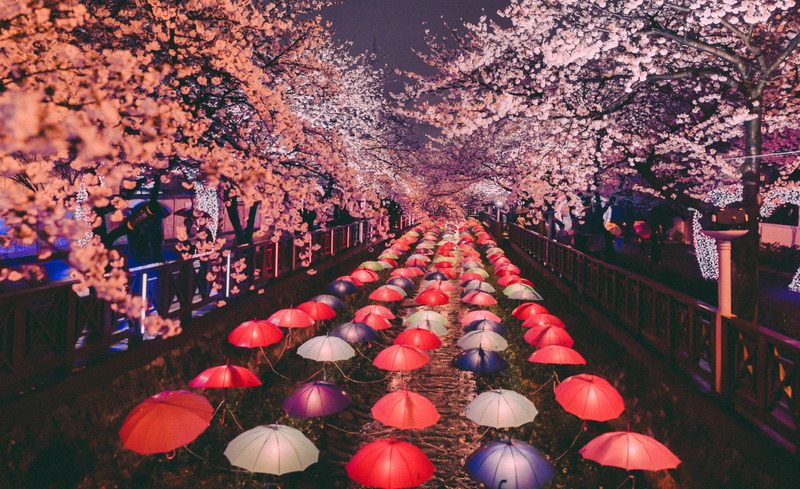 800 meters of the Gyeonghwa railroad and 1.5 kilometers of the flower streams are very popular with Koreans and tourists alike, and this year we decided that we would have to make it ourselves! 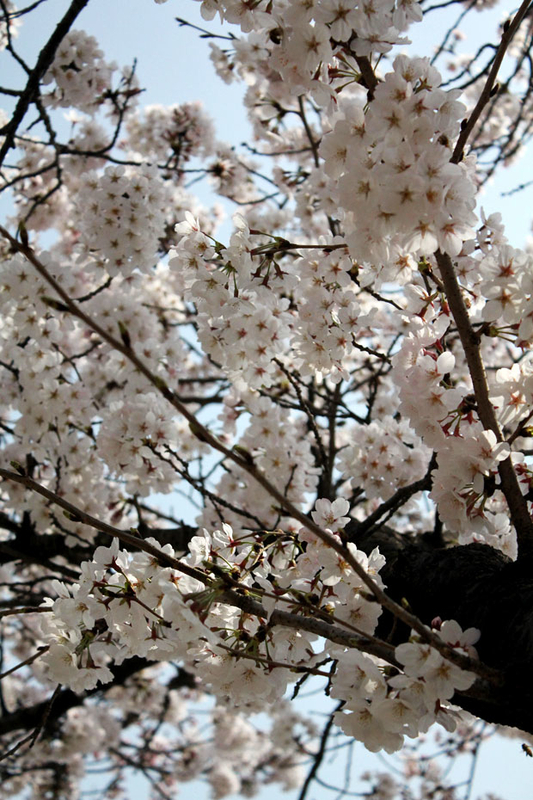 The photos of the spring cherry blossoms are very famous, and we wanted to take the photos ourselves! So from Seoul Nambu Bus Terminal, we decided to take the bus to the Jinhae intercity bus terminal- and made sure to pack a lot of snacks for the ride! The bus ride to Jinhae is 4 and a half hours- so that is 9 hours in total! We decided to take it easy by spending a night in Jinhae, but if you want to make it a day trip, be sure to plan your timing in advance! Over 300 thousand trees burst into bloom, and it was one of the most beautiful sights we could hope to catch! There are a lot of romantic photo taking opportunities and extra decoration that is kept in place, so be sure to bring your camera or an extra phone charger! We made sure to eat, drink, take photos, and have a generally merry time before heading back to our hotel! 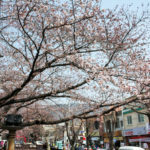 Taking the option to spend the night in this wonderful city to fully enjoy the cherry blossoms? 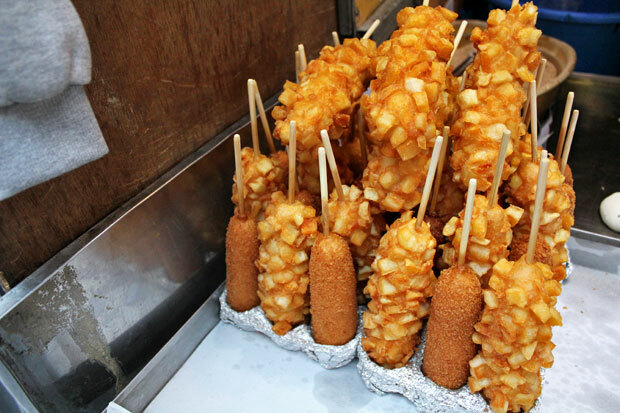 The BEST idea, and one we highly recommend! 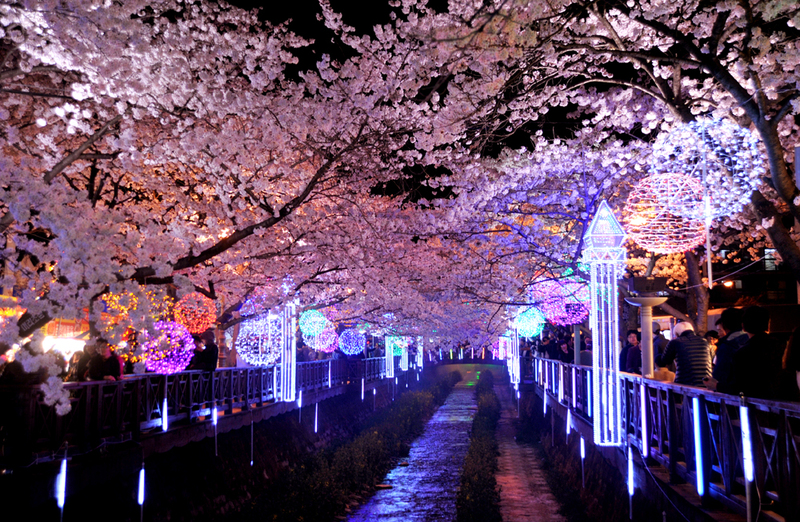 The world class cherry blossom festival is held annually at the naval port city of Jinhae. There are a lot of interesting and exciting events to take part in, especially because the Korea Naval Academy and Command of Naval Base actually open themselves to the public during this time! This entry was posted in Events, Spot, Travelstyle. Bookmark the permalink.